We all have our favourites – whether they are sweet or savoury, fluffy American pancakes, French crêpes or your classic English – there is a filling and topping for all. 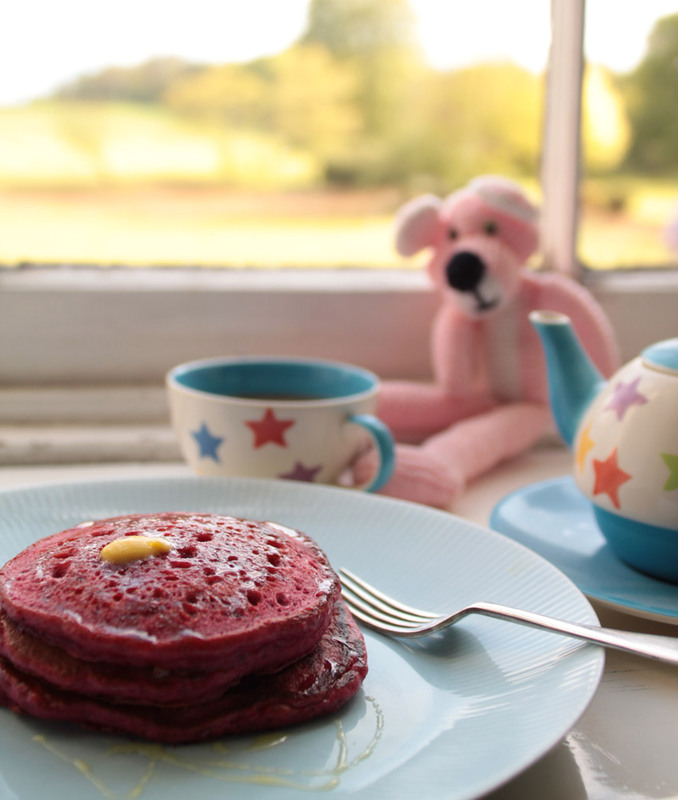 Abel & Cole have kindly given us a recipe for their gorgeous Pink Pancakes! Healthy, pretty and delicious! Whisk the egg until frothy. Add flour, baking powder and salt. Pour in the apple juice. Give it all a good whisk. Fold in the beetroot and spice. Warm a frying pan over high heat. Brush on a bit of olive oil. Drop in dessert spoonfuls of the pancake batter into the centre of the pan. Grab a spatula. As soon as the pancake starts to bubble up in the centre, flip it over and cook for 2 minutes or so, until cooked through. Don’t be tempted to press the pancake down in the pan as it cooks as this will press out all the lovely air bubbles that make it nice and fluffy. When all your pancakes are cooked, add a dot of butter on the top of each, and then serve with a drizzle of honey and a nice cuppa.